How to make the inkjet printing workflow as efficient, productive and profitable as possible with helpful tips from A to Z. Looking back on 2018, we’ve seen a lot of much-needed innovation, as well as power-house collaborations. Our top five launches of the year answered customer demand for versatile, cost-effective, application-driven solutions across the board in the wide-format market. If you haven’t tried these new options, what are you waiting for? The year’s almost over! ChromaLuxe EXT — Another important product line for our dye-sub customers is the stunning ChromaLuxe metal photo panels, a high-demand item. This year, ChromaLuxe introduced its EXT line, geared toward extended outdoor use — something dye-sub wasn’t able to achieve previously. The EXT innovation won ChromaLuxe an SGIA Product of the Year award, and it’s not hard to see why. Check out this story about how the panels were used as wayfinding signs for Felts Audubon Preserve. 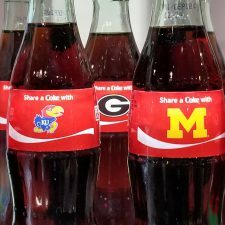 AveryxLexJet — In one of the wide-format industry’s biggest news stories of the year, LexJet partnered with Avery Dennison, adding more than 200 calendared and cast vinyl, film and laminate products to our product line. Now, LexJet customers have access to all the vehicle and fleet wraps, wall films and so much more. LexJet Flex Tek — One thing so many print shops struggle with is inventory space, that’s why we love all-in-one media products like LexJet Flex Tek 170g for aqueous printers and LexJet Flex Tek SUV 200g, compatible with eco-solvent, latex and UV-curable inks. This non-woven technical fabric is lightweight and easy to use, making it a go-to option for hanging banners, retractable banners and even wrapped canvas. HP Vinyl + Overlams — What the world needs now is a line of vinyl products that work well and are priced right. That’s what we delivered with the massive launch of the new HP Vinyl line of products. Now that you know all the hottest launches of 2018, stay tuned to this blog to discover the trends you need to keep an eye on in the New Year! To Perf or Not to Perf? Perforated window graphic film, such as LexJet Simple Perforated Window Vinyl (70/30), allows you to print on 70 percent of the surface, while 30 percent of it is tiny perforations, or holes. This allows for excellent image reproduction and shading coming into the window from outside, while people inside the building can still see out the window, through the perforations. Since this product is mounted outside, we suggest LexJet’s Optically Clear Cast Laminate for extra protection. Window perf is also available in 60/40 vinyl. 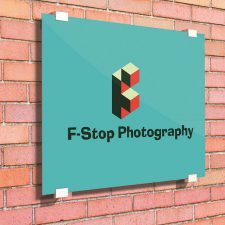 Silicone-edge frames have grown in popularity in recent years as the ideal option for framing lightweight printed fabric used for signage or room decoration. Yet, using silicone requires sewing, and not every print shop has access to a machine … or a seamstress. Which is why we’re excited to offer a sew-free, silicone-free option for easy print installation that anyone can do. 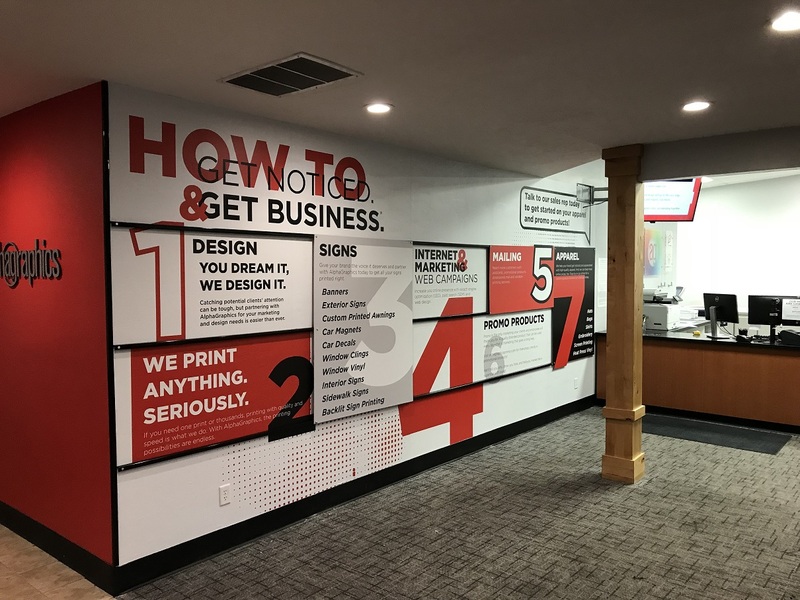 It not only helps print shops, but makes it easier for your customers, too, who need to ask employees to switch out seasonal graphics, such as in a retail environment. In the how-to video above, we used EnduraFab™ Frontlit Premier to print our graphic with a one-inch bleed. 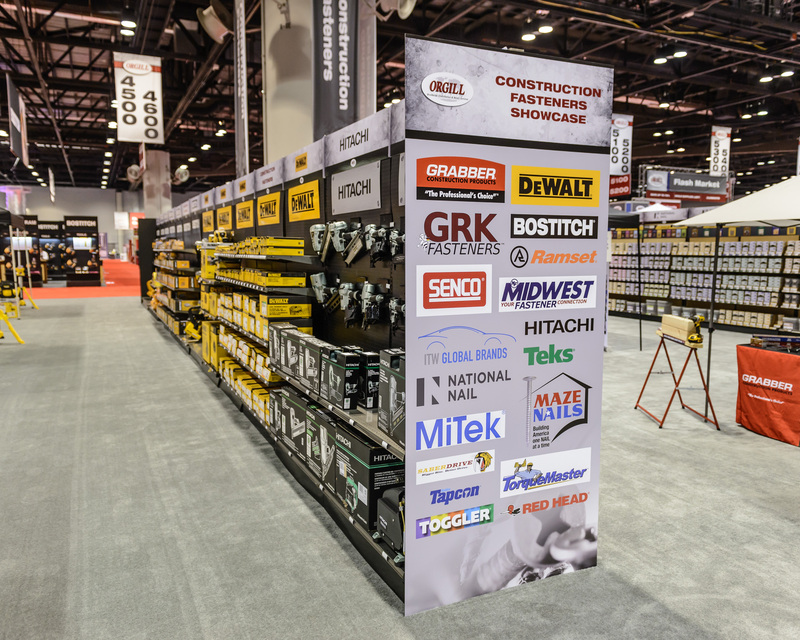 This latex-compatible fabric is a perfect choice, thanks to its thickness and tooth, which work well with the patented grip strips in SignComp’s Front Load Soft Signage Frame. The EnduraFab™ textile has also recently been acoustically rated for sound absorption to help reduce room noise. To see how quickly and easily these two products work together, watch the video above. You’ll also need a squeegee, like this option from Avery, available at LexJet. 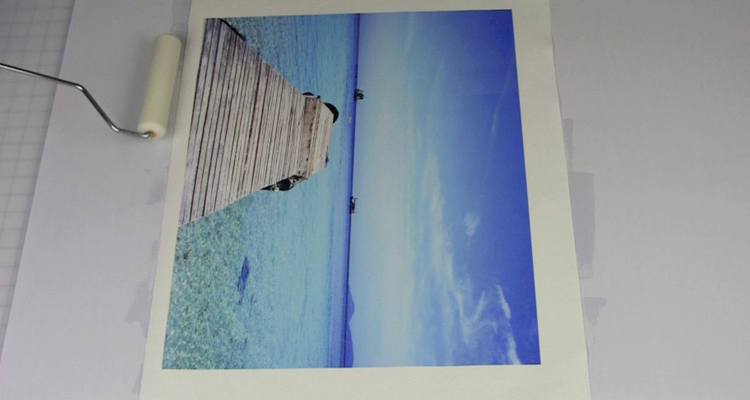 One of the earliest benefits of digital inkjet printing was the ability to create one-off, customized prints. 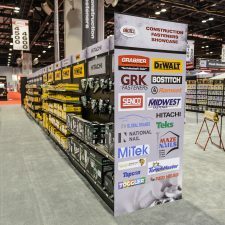 Over the past two decades, that’s been a major selling point for printers offering banners, POP signage and trade show graphics, and it shows no signs of slowing down. 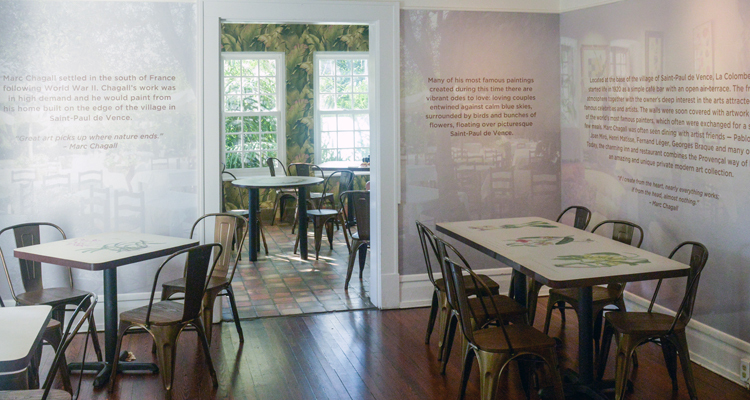 In fact, the digital print industry is branching out into many more market segments, thanks to improved print technology as well as new, innovative media and substrates, such as the personalized wallcovering printed with quotes, pictured above. 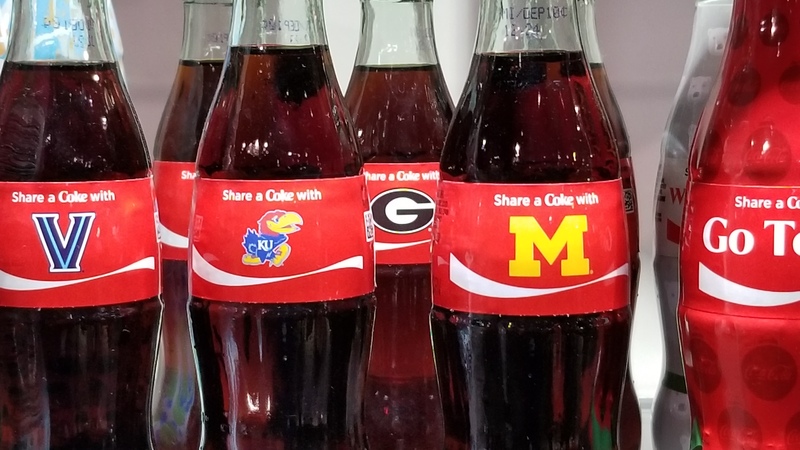 These new ideas and products, of course, are in response to increasing demands from graphic designers, brand owners, interior designers and consumers themselves who have seen customization in action with everything from canvas printed on demand to the mass-customization project: Share a Coke. 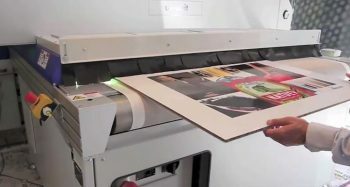 Digital print technology allows print service providers to deliver smaller runs faster and with higher-quality results. Wrapping paper: Have your customers asked you to print photos for an upcoming wedding or birthday? Imagine using those pictures to customize wrapping paper, allowing them to personalize the gift-giving experience. 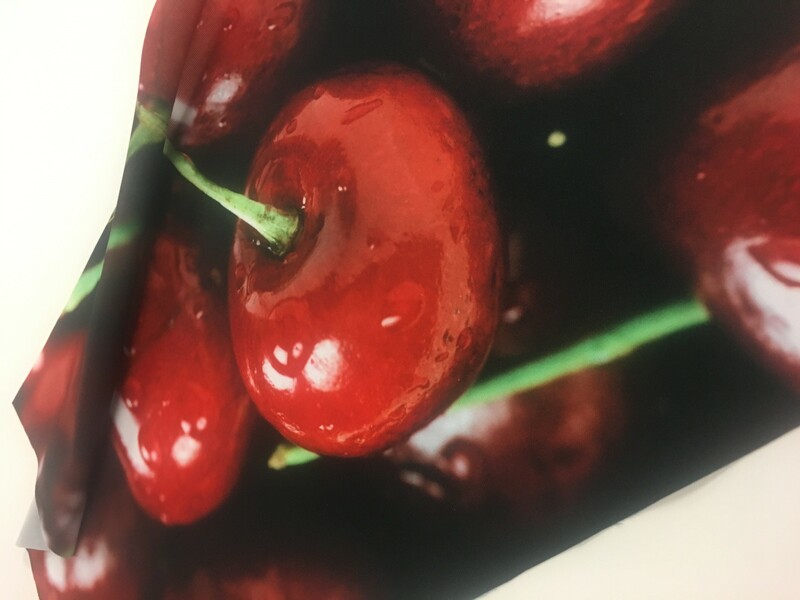 If you have a latex printer or DesignJet production printer (Z6200 or newer), you could increase profitability by adding HP Satin Wrapping Paper to your product offering and help your customers make a splash at their next gift. Wallcovering: For years, homeowners have spent countless hours in the wallpaper and paint departments at home improvement stores. With the ability to create custom wall coverings for your clients, you will help save them time and money as well as give them a way to design unique and personal bedrooms, boardrooms or commercial spaces. If you have either a latex or solvent printer, you can create custom wall murals with an array of options: the various textures of Vescom, HP PVC-free Wall Paper, which is certified for use in schools and hospitals when printed with the HP latex printers, and finally, the subtle textured options of Avery Dennison MPI 2600 Wall Film. Art and décor: While printing images on photo papers is what initially put digital printing on the map, it’s time PSPs help customers understand all the options available for personalized art and décor. 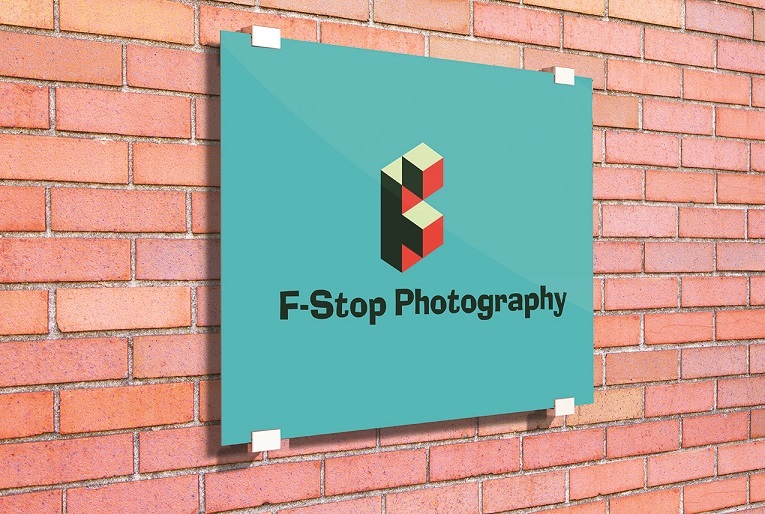 Canvas prints help your clients turn a great photo into a beautiful work of art. 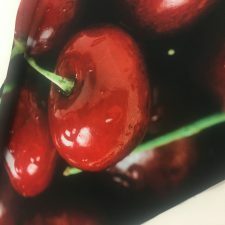 There are a variety of canvas products available for all printer technologies, including LexJet Sunset Select Matte Canvas for aqueous or LexJet Sunset by Fredrix Satin Canvas SUV for latex and solvent. If you have a dye-sub printer, ChromaLuxe Aluminum Photo Panels create stunning wall décor that will surely be a great conversation starter for homeowners and business owners, alike. 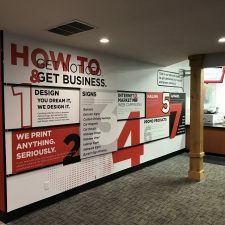 These are only a handful of options that are available to you to help you expand your product offering and keep your customers happy and always coming back to see what new and exciting things you can print for them. 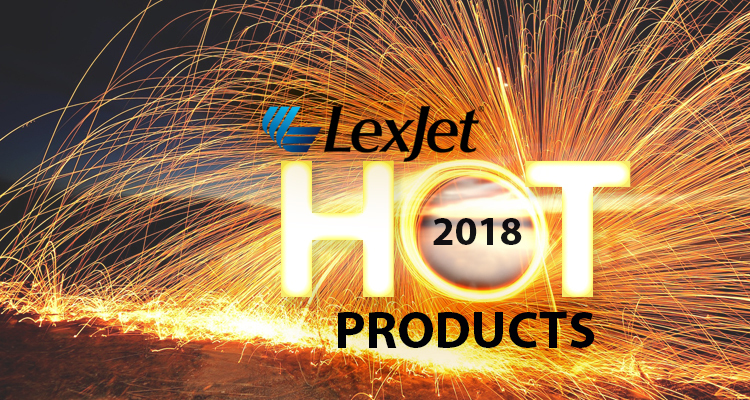 If you have questions about any of these products or would like additional ideas on customization opportunities, visit LexJet.com or contact one of our sales specialists at 800-453-9538. The possibilities of digital print in the décor sector not only allow for the power of personalization, but with the advances in media options, can also instantly change the mood of a room and the people in it. Studies show a strong relationship between an environment and how it affects its inhabitants. This psychological approach to interior design has existed for thousands of years—most notably with Chinese Feng Shui. The bond between interior design and our emotions have caused designers to use wallcoverings in creative ways to encourage peace and happiness in an interior space. Color is a powerful element for generating emotions and mood. For example, green is known for its soothing qualities, gray gives a sense of relaxation and serenity, orange provides a feeling of energy and yellow is associated with happiness and creativity. Texture in wallpaper also plays a role in the overall ambiance of a room, providing a touchable experience. Vescom Digital Wallcovering comes in a multitude of finishes. Vescom Lay provides a sophisticated feel of linen, Vescom Tabby has the artistic textured feel of canvas and Vescom Felt produces a soft, calming warmth to an interior. “Go to your happy place” takes on a new meaning for designers who are using digital wallcoverings to mold interiors to promote happy, healthy environments. Vescom Digital Wallcovering is increasingly popular with interior designers who want to create personalized wall treatments that add a unique ambiance and evoke positive emotions. For prints that are subjected to direct light, wear-and-tear or even graffiti, one of the most economical ways to protect them is with a coat or two of liquid coating. 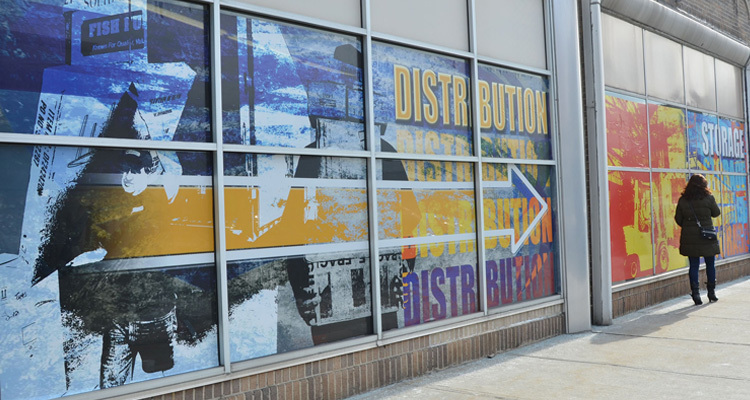 Water-based coatings, such as Sunset Gloss or Satin Coating as well as Marabu ClearShield and EnduraCoat options provide consistent, reliable and cost-effective print protection for everything from canvas wraps to wall murals to outdoor signage. The benefit of using a liquid coating include abrasion resistance, extending the life of the graphic and making it easier to clean them, which is especially helpful for outdoor signage that falls victim to those graffiti artists. Coatings can also change the image’s finish — from gloss to matte, for example — which is one way to reduce the glare of a glossy print. While ink technology in inkjet printing has evolved significantly in recent years, even latex or solvent inks can use added protection from a liquid coating, especially for long-lasting or high-traffic prints (think: wallcoverings). It’s especially helpful for prints displayed in direct sun, which need help against the UV light that can eventually wear away any ink. It’s important to remember, however, that ink-and-coating combinations can sometimes behave in an unpredictable way. Best to test compatibility before coating an entire job. Water-based Coatings: For smaller jobs, a water-based coating is the way to go since they can be roller, mop or machine applied. These are great cost-effective alternatives to thermal or pressure-sensitive laminates. Since they are liquid, water-based coatings can conform to uneven surfaces when needed, which a laminate film cannot typically do. These can also be machine-applied. 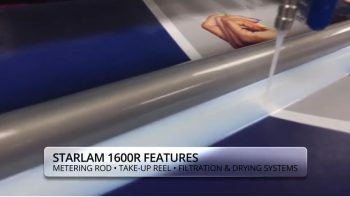 Check out this video to see how easy it is to use the Marabu StarLam coating machine. Waterbased coatings range from $0.08 – $0.18 per square foot. UV Coatings: Machine-applied UV coatings provide longer life at a lower cost, $0.04 – $0.10 per square foot, depending on the product. Our line of Mara Shield UV coatings are application-based, such as anti-graffiti, corrugated board and rigid or flexible substrates. UV coatings dramatically extend the life of prints and intensify the color vibrancy of printed images. The MegaCoat XL 63 UV Coater can handle everything from films to boards that are 1-inch thick. To learn more about coating, ink and substrate compatibility, check out our Print Protection page or call at LexJet coatings expert at 800-453-9538.